Our professional carpet cleaning services in London are carried out by expert carpet technicians who are trained specialists in the craft of carpet care and offer a superb level of service at a price you can really afford. Your carpets are a key part of the personality and ambience of your home or office, adding colour and vibrancy. When they get dirty and jaded, it affects the whole feel of the space where you live or work. The right place to hire a reliable carpet cleaning company starts and ends here. We cover all Central and Greater London areas including surrounding cities. No matter how often you run the vacuum over the carpets in your home or office, it will never leave your carpets completely clean. Over time, dirt gets ground in and without a regular cleaning regime your carpets can be susceptible to bacteria and parasites. And even though you might use off-the-shelf carpet cleaning detergent from time to time, that will only go so far. We have an excellent reputation, providing commercial and domestic clients with carpet cleaning services since 2001. At least 80 % of our business and sales are derived through word of mouth recommendations and referrals. 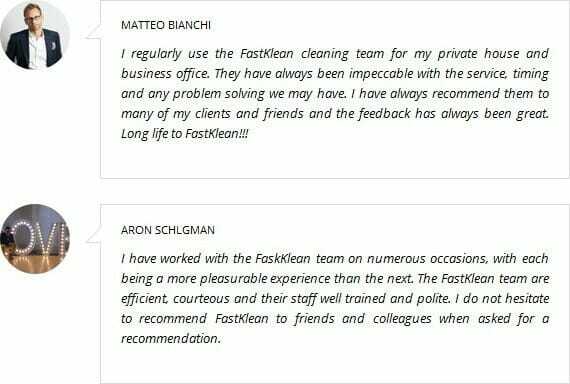 Our passion to maintain higher than industry standard results and performances have gained us the reputation of being the leader in the cleaning service sector. We only provide industry standard cleaning methods, environmentally friendly applications of chemicals and solutions, and PROCHEM accredited standard operating procedures. We always maintain top of the range and the latest gadgets, tools, and equipment for our cleaning operations. Our carpet cleaners are professionally trained and fully qualified. Since they are professionally trained, we guarantee you that your carpets will still look clean a year after. Our carpet cleaners are insured up to £10,000,000. It is a guarantee that we can pay whatever damages that may arise while we clean your properties. We only work with trustworthy and dependable carpet cleaners in London. You might like to know that they wear uniforms, too. We believe in customer satisfaction, so we always ensure you get it. 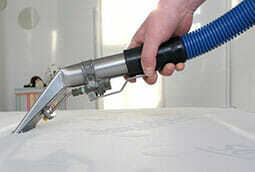 You can add other services as well such as stain protection, anti-static treatment, and pest repellent. We provide flexible payment procedures. Our carpet cleaning prices are affordable, too – click here for an instant quote. Re-booking with us entitles you to 10% discount. Stain on your carpet? Don’t panic! Book our professional carpet stain removal service now! Using high-temperature steam to clean deep into the carpet pile, this system is suitable for carpets made from durable synthetics and fabrics. Before starting the carpet cleaning process, our technician will first vacuum the carpet to remove loose dirt and will then spray a unique cleaning solution that breaks down all dirt and bacteria in your carpet. Once that process is complete, the carpet cleaner will then pre-treat any stains or marks with a suitable detergent, making them easier to lift. We can also protect your carpet with Scotchgard at an additional cost and details of this service are outlined below. Some carpets and floor coverings are too delicate to use the hot water extraction process to clean them. Where this is the case, we use a system that uses next to no moisture to make sure that whatever your floor covering, it’s fully protected. This dry system uses a powdered cleaning agent to break down dirt and grime and specially designed tools that gently work it out from the fibres of the carpet. The carpet is then vacuumed again to remove all dirt particles completely. The leading name in protection for upholstery and textile flooring, we can provide Scotchgard protection to keep stains and marks at bay. Scotchgard is applied directly to the flooring or upholstery and stops spills and dirt from settling into the pile or fibres. Our Scotchgard treatment is guaranteed, meaning your flooring and furniture will look fresh for longer. As you might expect, we’re also experts in upholstery cleaning find out more. Call us on 020 7470 9235 for more information about our professional carpet cleaning service in London and a FREE QUOTE. You can also book online. I’ve seen adverts for rug and carpet cleaning machines – can’t I just hire one of those? The answer to that, obviously, is yes, you can. But part of the reason why people come back to us time and again to have their carpets cleaned is that a machine on its own doesn’t beat experience. We know exactly what detergents work on which marks and stains, and which ones don’t – and with over 16 years of experience and expertise, there isn’t a problem we haven’t dealt with before. If I am on the 3rd floor (or higher) can you still carry out the cleaning? Please note that there is £20 charge if there is no access to the property via lift or if there are more than 2 flights of stairs. Do you guarantee to get rid of every stain? We’d like to – and we often do manage to leave a carpet completely spotless. However, there are some types of stain and mark that are permanent and can’t be cleaned, no matter what method you might use. In those situations, at least you know that if we can’t shift a stain, no-one can. As always, it depends on how many carpets we’re cleaning and how big the rooms are. An average sized carpet will usually take somewhere between 30 and 40 minutes to clean. Left to dry naturally, you can expect a synthetic carpet to dry in anything between 3 and 6 hours. Heavier and more absorbent textiles, such as wool, take a little longer – between 4 and 8 hours. A fan or dehumidifier can speed this process up quite a lot and we can provide an air mover if required. How many people will carry out the work? For most properties, we will send one carpet cleaner who will bring all the equipment necessary and will work through the rooms systematically. How much does it cost to have a carpet cleaned? The price of the total carpet cleaning service depends on the type and size of room you want to be cleaned. For an accurate quote, feel free to contact our customer service representatives or book online. Can you walk on carpet after cleaning? Walking on the carpet, while it is still wet could result in footprints showing later on. When we use the hot water extraction method, we ask clients that they allow several hours of drying time before they walk on the carpet again. This is one of the toughest stains to remove from the carpet. We will do our best to remove the mark, but we cannot give 100% guarantee that the process will be a success. Keep in mind that just like with any stain, you need to contact our carpet cleaning experts as soon as possible after you see such a stain. In any case, we will banish the unpleasant odour from the fabric. We clean mould, but we cannot guarantee 100% removal and the stain might re-appear again. Will I receive proof that a professional carpet cleaning had been carried out? You get a sparkling clean home as proof that the carpet has been professionally cleaned. And of course we will issue an invoice.